Shhhhh... Please do not let the customs officer in the airport know but we brought in something to the country that I have been wanting to cook with for a VERY VERY long time. 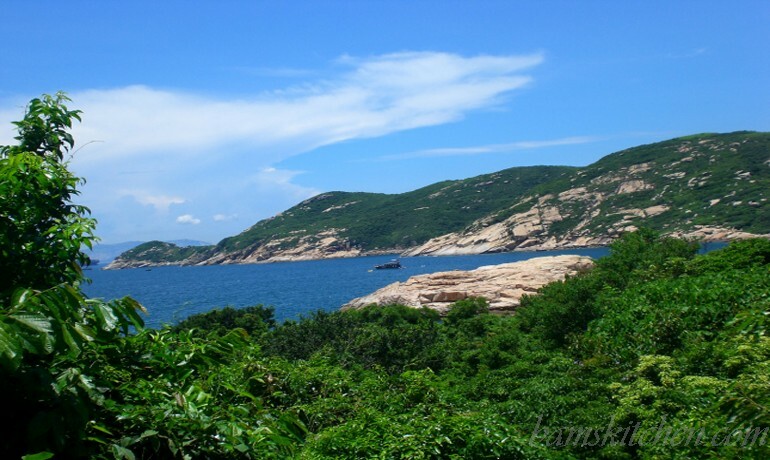 If you can get over the fact that Lamma has man-eating spiders, it really is a beautiful place. 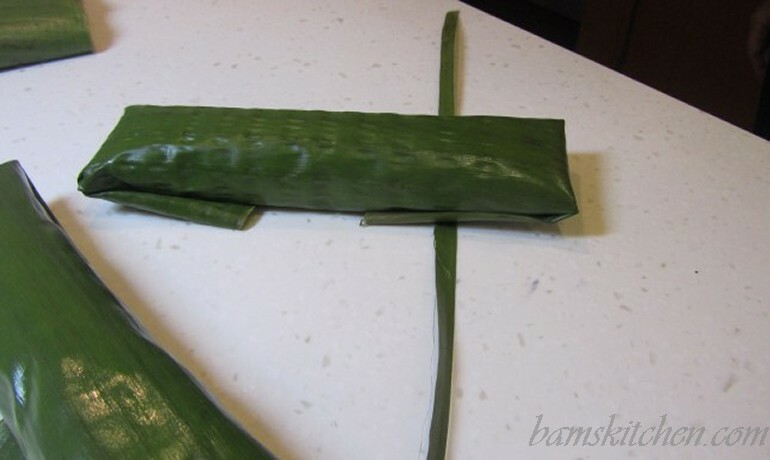 A banana leaf is the leaf from the banana plant. 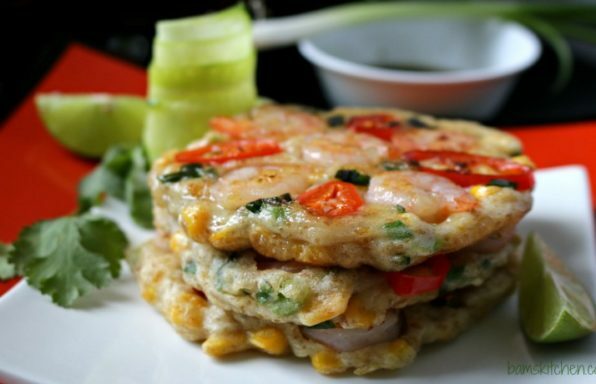 It is used for various functions, such as for decorative elements, wrappings, plate mat, and employed in cooking method. 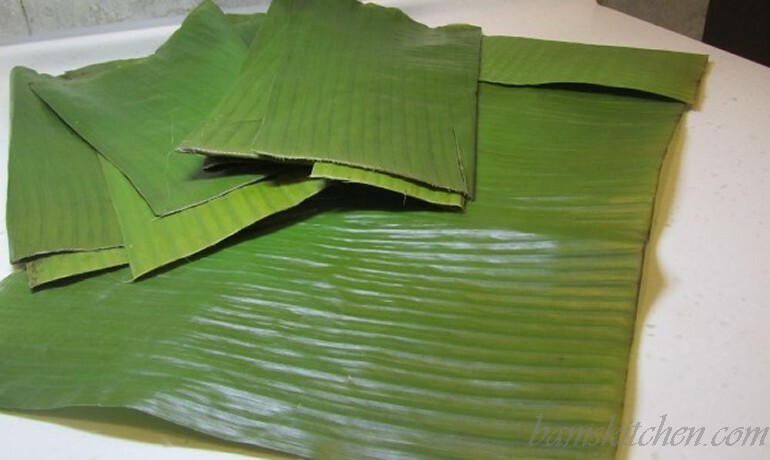 Banana leaves are used in many countries such as India, Philippines, Indonesia, Thailand, Cambodia, etc. 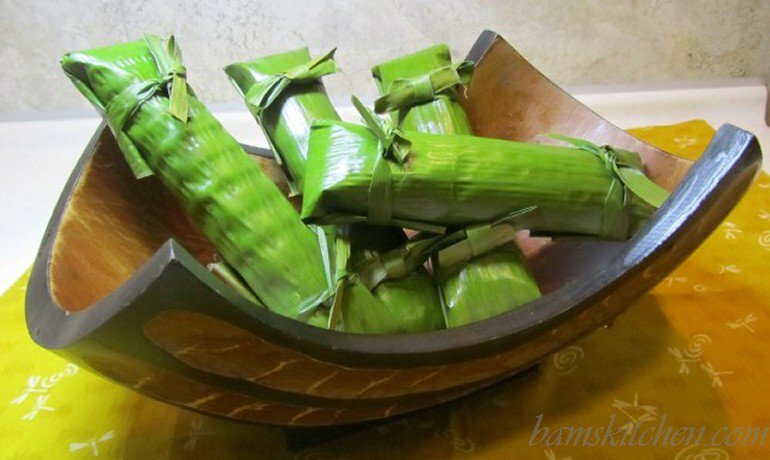 Banana leaves are large, flexible, and waterproof and provide a great way to steam, grill, fry, bake and display Asian cuisines. 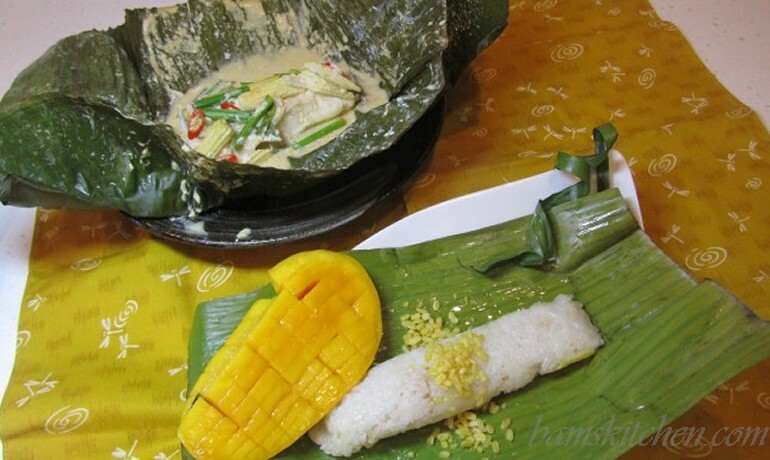 The Banana leaf is also used to add aroma to the food. 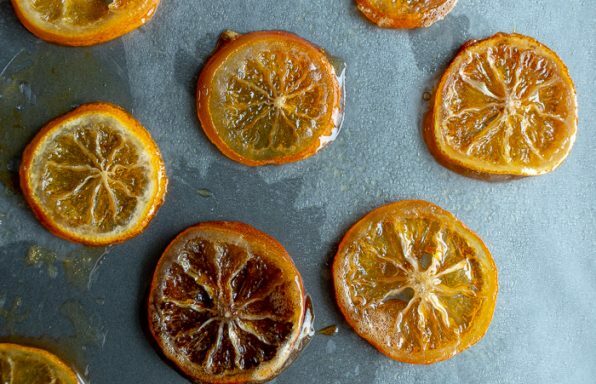 Steamed with dishes they impart a subtle sweet flavor. 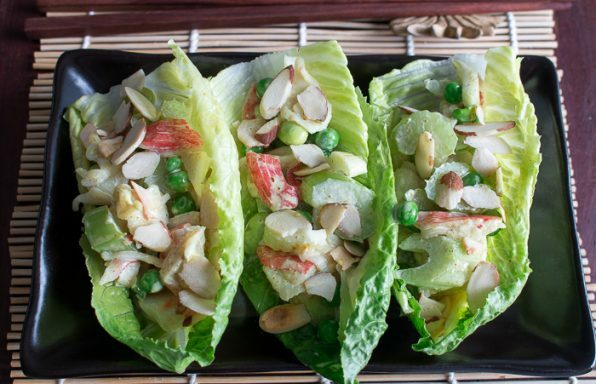 They often serve as a wrapping for grilling food. 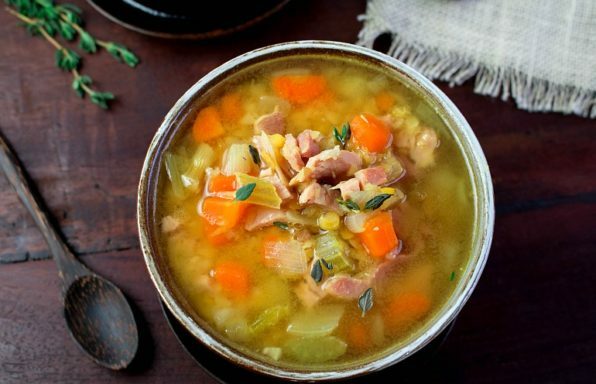 The leaves contain the juices, protect food from burning and add a subtle flavor. I was so excited about finally receiving these banana leaves. 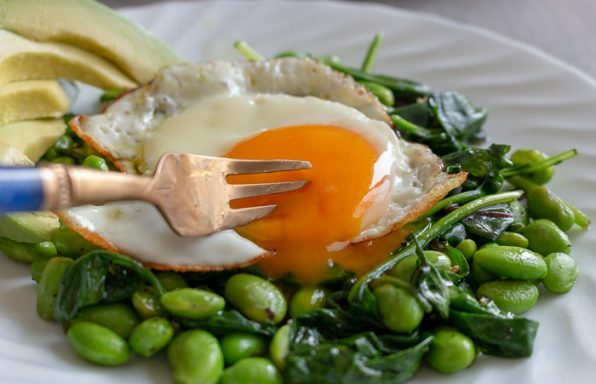 I always knew I wanted to make a lovely fish dish and of course my mango stick rice inside the leaves as I have seen many times in my travels and now I had the opportunity to try it myself. 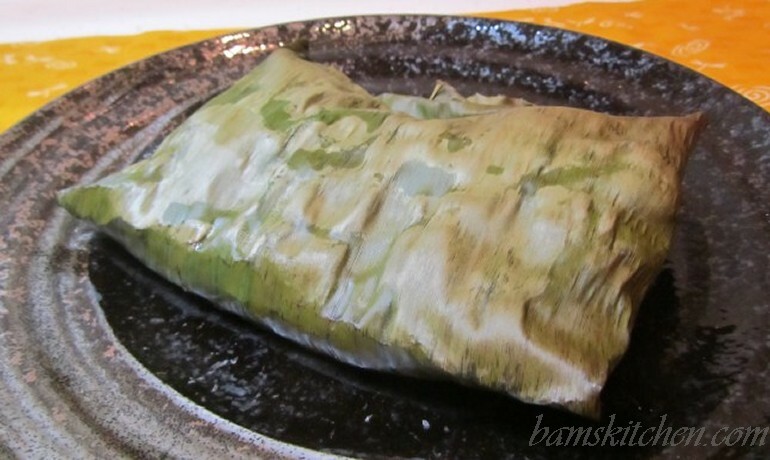 I was so very happy with the end product as the light aroma and flavor of the banana leaves is very delicate and really kept the fish very flaky and moist. 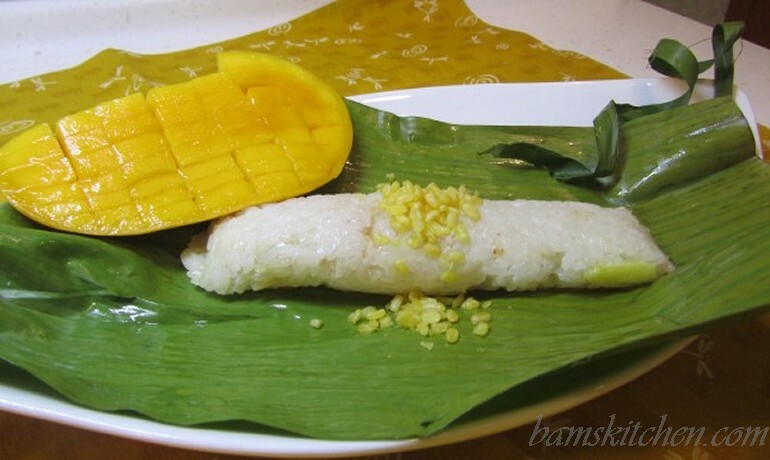 Of course the sticky rice and mango rocked and I should have made way more of that. 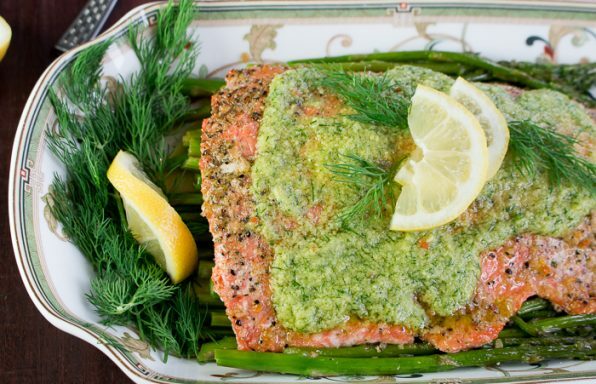 I know that Bam's Kitchen is usually dedicated to my teenage boys and their culinary needs and requirements but sometimes mom's need a very special treat too. After all, Mother's Day is this weekend and a very special Happy Mum's Day to all of you! 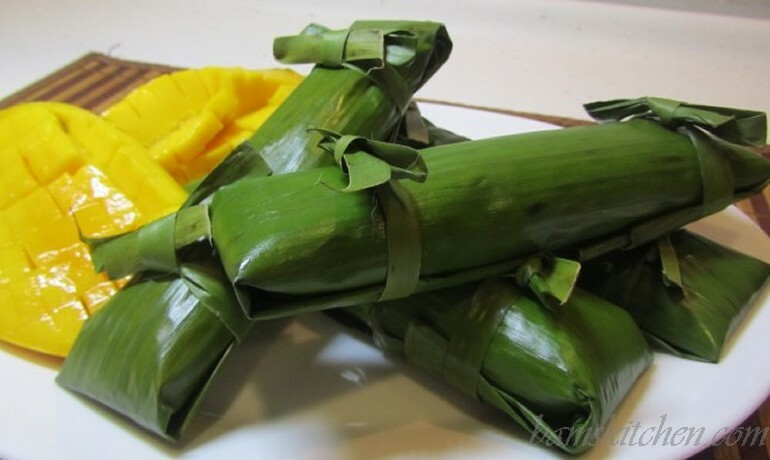 2 large fresh banana leaves (substitution: could also bake fish in a parchment packet but you will not have the nice delicate banana aroma and flavor)- In some countries you can find fresh banana leaves in the freezer section of Asian food stores. 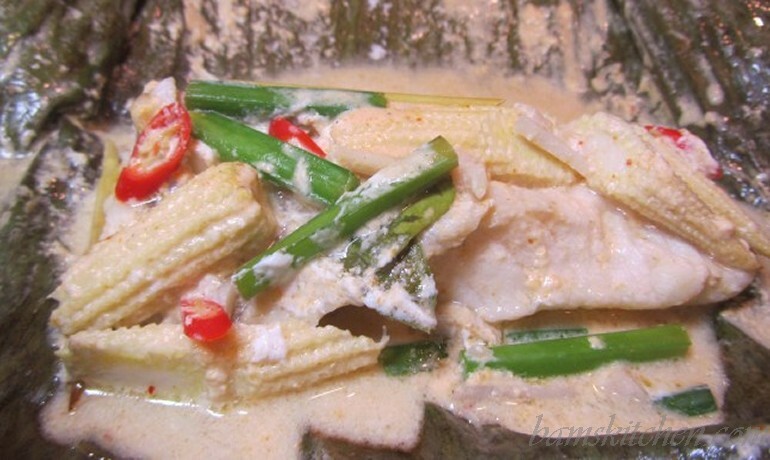 Step 1: Marinate the fish: In a medium flat container or plastic bag combine the following items; fish, coconut milk, keffir lime leaves, lemon grass, basil, fish sauce, white pepper, Galangal, garlic, chillies, curry paste. (I bought a fresh Thai Tom Yum soup packet in the market and it had many of these ingredients all together or you can purchase them separately) Marinate in the refrigerator for at least 1/2- 1 hour. 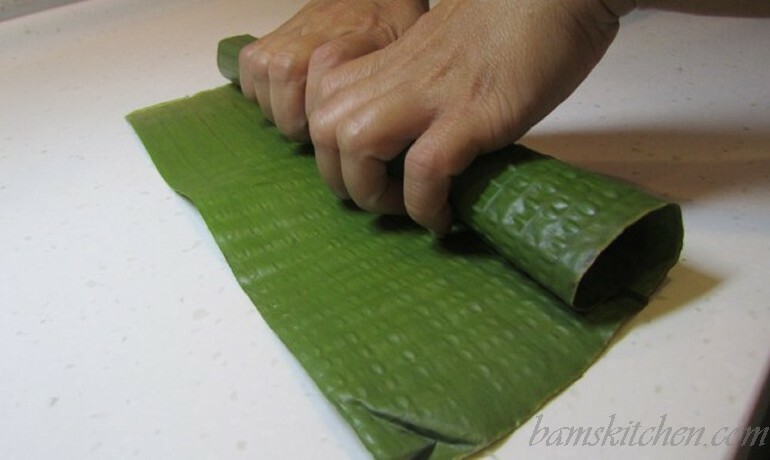 Step 3: Wash and cut banana leaves to desired size. 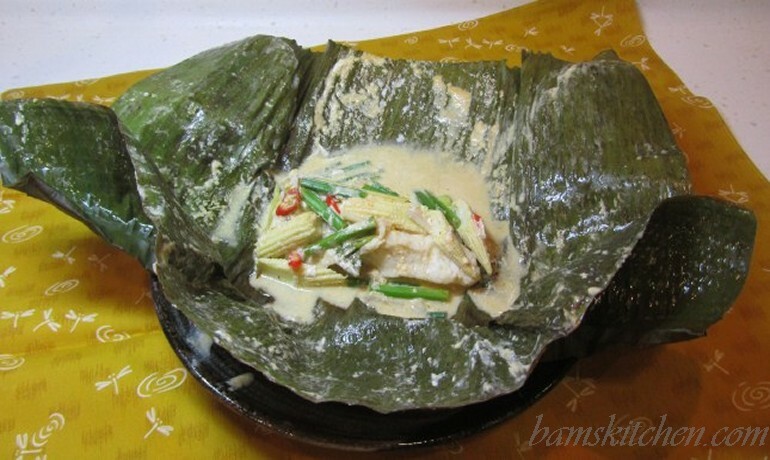 Step 5: Wrap the fish in the fresh banana leaf: Start on one end and fold banana leaf over fish. Then fold in the ends on either side and then continue to wrap so the end product is flat. 4 folds only. You can do this however you wish, just one idea. 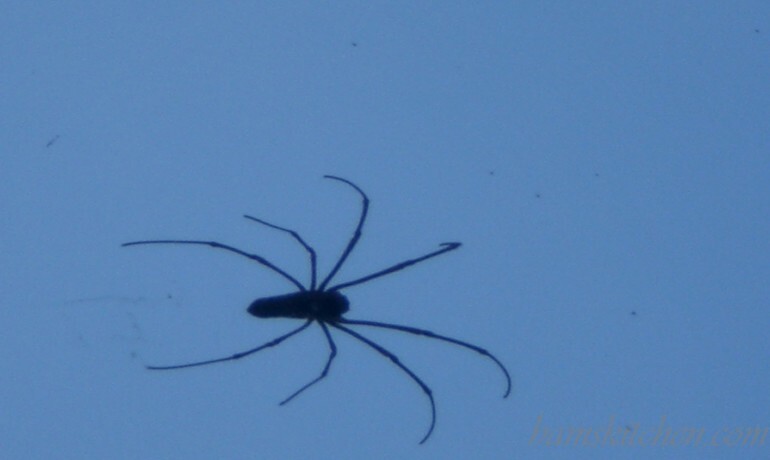 However with this method there was no need to secure. 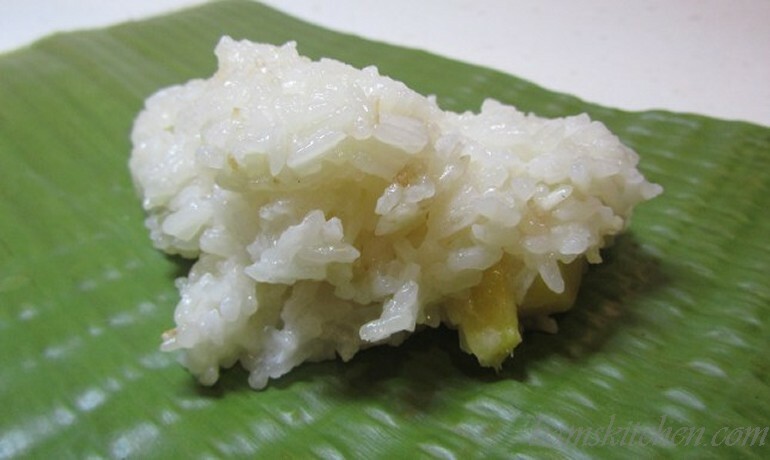 Step 1: Soak the sticky rice in water for 3-4 hours or better overnight. Step 2: Drain the rice grains and put in the sticky rice basket for cooking with boiling water- you can choose this method. 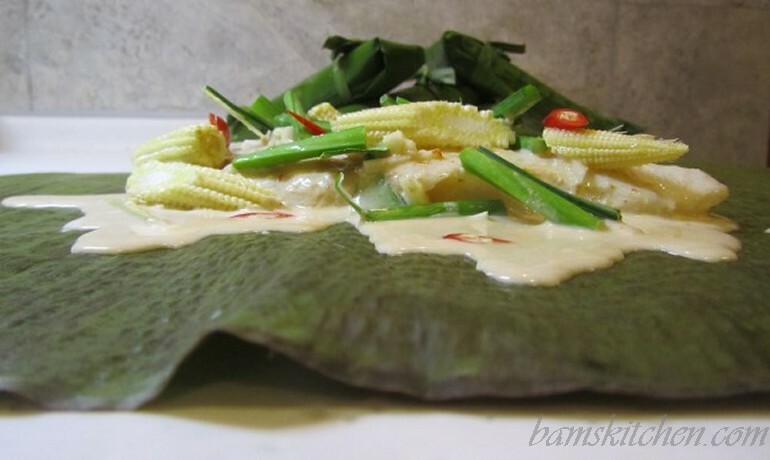 You could put the raw ingredients directly into the banana leaf and steam as well. However I instead opted for the slow cook stove top method of cooking in a pot as I love how the sticky rice gets caramelized in the pan. Step 3: For the pot method of steaming add rice, coconut milk and ginger in pot and steam for about 30 minutes. Step 4: Add coconut cream, sugar and salt and mix for about 10 minutes until it gets this lovely yummy sticky part on the bottom of the pan. 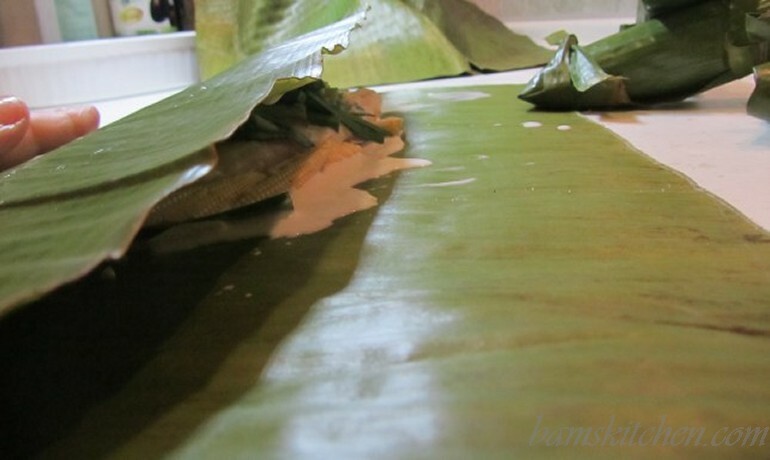 Step 6: Roll the banana leaf side to side to make the rice in a long even roll. 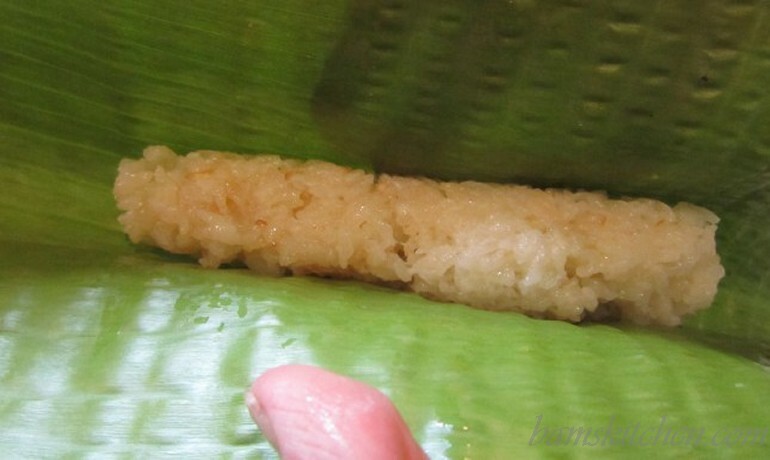 Step 7: Roll the rice in the banana leaf and fold edges inwards. Step 8: Tie ends with small thin portion of banana leaf to secure.